I’ve written of the religious meaning of this holiday before. And noted that the word “holiday” comes from the original “holy day.” (Or more precisely, “hālig dæg.”) In turn the Old English word “halig” figures into the whole idea of Halloween, but there’s more on that later. I’ve written about Halloween in “All Hallows E’en” – 2015. And earlier – in 2014 – I posted On “All Hallows E’en,” Parts I and Part II. This post will present the highlights. One such highlight is that there are actually Three Days of Halloween. (Also known as the Halloween Triduum, which constitutes a whole set of Feast Days.) The third day of the three-day holiday – November 2 – is All Souls’ Day. The original idea was to remember the souls of “the dear departed,” illustrated by the painting at left. That is, “halig” is the old English word for “hallow,” which in turn is another term for “saint.” (In this sense, one of those dear departed.) So “All Hallows Day” is just another way of saying All Saints’ Day, which is celebrated on November 1, the day after October 31st. So again, November 1st is also called All Saints’ Day, and the Old English word for “saint” was halig, which eventually became “hallow.” Another fact worth noting is that – in the really real olden days – Christians believed that on the Eve of All Hallows, “the veil between the material world and the afterlife thinned.” Put another way, the veil was most permeable. So what was the deal with wearing masks and disguises? The thought was that the candle had been blown out by witches. Apparently some old-time people set such carved-out pumpkins on their windowsills, to keep “harmful spirits” out of their home. 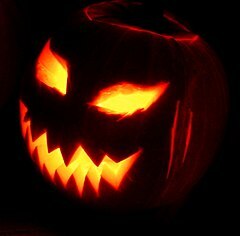 But according to another tradition, jack-o’-lanterns “represented Christian souls in purgatory.” And as noted in “All Hallows E’en” – Part II, today jack-o’-lanterns are made from pumpkins, but were originally carved from large turnips. [T]he souls of the righteous are in the hand of God, and no torment will ever touch them. In the eyes of the foolish they seemed to have died, and their departure was thought to be a disaster, and their going from us to be their destruction; but they are at peace. Re: All Saints Day (November 1). See also All Saints’ Day – Wikipedia. The painting to the left of the paragraph beginning “one such highlight” is courtesy of All Souls’ Day – Wikipedia, the free encyclopedia. The caption: “All Souls’ Day by William Bouguereau.” See also Allhallowtide, and All Saints’ Day – Wikipedia. 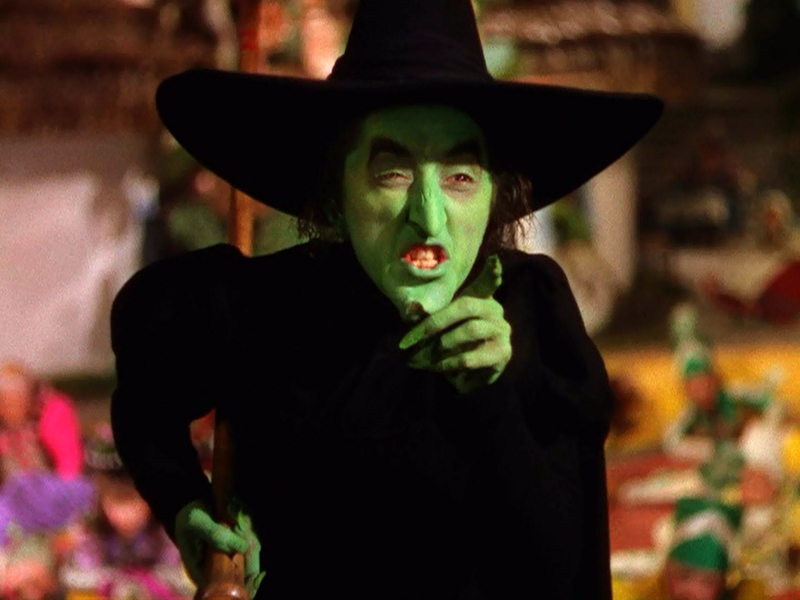 The “witch” image is courtesy of Hail to Dorothy! The Wicked Witch is dead …54disneyreviews. The full Daily Office Bible readings for October 31, 2016 – from the Satucket website – are Psalm 34; Wisdom 3:1-9; and Revelation 21:1-4,22-22:5. The quoted portion is from the “Wisdom” reading. This entry was posted in Feast Days on October 27, 2016 by dorscribe@aol.com.